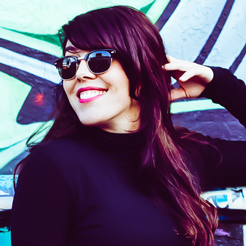 I’m a sucker for trends. Ripped jeans? Wearin’ ‘em. Broad City? Watchin’ it. And food trends? Don’t even get me started on how much kale I’m eating right now. Sure, it’s a fad and it tastes pretty ordinary by itself, but hey—more leafy greens in my life can only be a good thing. Fact. 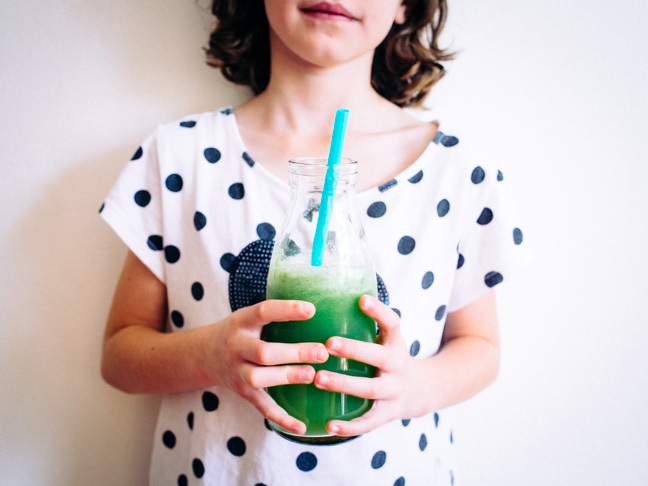 And when I make fresh green juice at home I really want all that gut-loving, sickness-fighting good stuff to be boosting my little one too—but it’s a bit hard when Miss Seven isn’t into the whole “eating vegetables” thing. 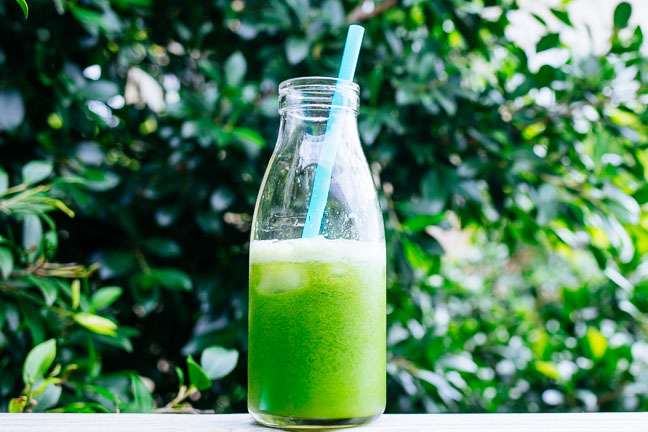 Cue the only green juice recipe I’ve found that works for her and me. Disclaimer: I’m no chef, doctor, or health and fitness anything—so please don’t go doing something silly like drinking this 24/7, serving it to super young bubs, or using it in place of formula. This is just a yummy recipe I made up. I hope your kids love it just as much as my bub does! 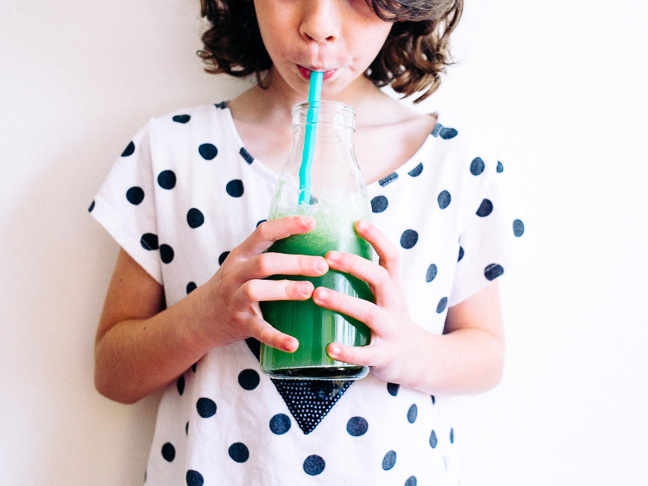 My bub isn't into eating her greens, but she'll gobble up this 4-ingredient juice! Step 1: Chop all ingredients with skin on. Step 2: Throw into juicer. 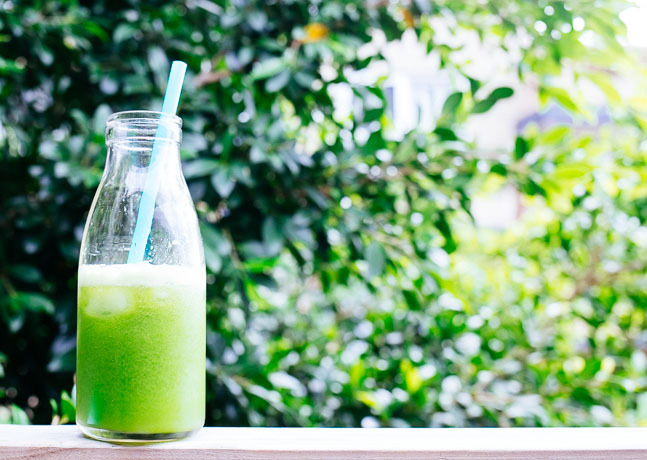 Will a Juice Cleanse Get Me Ready for Bikini Season?